Sonic the Hedgehog has finally made his way to Nintendo. This hack will take you through a variety of levels and present you with new challenges along the way. The bad guys are what you would expect and of course the boss fights are too. All in all a solid sonic rom hack. 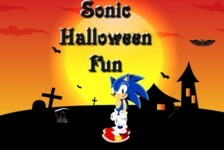 A Halloween themed Sonic platformer. Reach the spooky castle at the top of each level to win and move on. 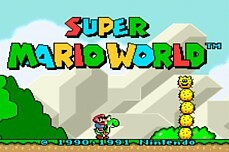 Sonic enters a crazy blue portal of some sort and ends up lost in Mario World! Sonic must drive his ATV through snow covered tracks. Reach the finish without crashing in as little time as possible. What has happened to Knuckles? He attacks Sonic and a whole new adventure begins! This simple scene creator gives you everything you want. Just start making Sonic scenes already! Finally Amy Rose gets her own Sonic game! You can choose between Amy Rose or Cream the rabbit. Sonic Pacman is pretty self-explanatory. Everything has been sonicified though. Collect all the rings to clear the stage! Blast robotniks evil contraptions out of the sky with a vast array of weaponry. Earn upgrades & powerups. Launch Sonic out of a cannon to collect rings. You can buy other friends like Amy, Shadow, Cream, or Mecha Sonic. A combination game of Sonic and Knuckles and Sonic the Hedgehog 3 all rolled into one rom!